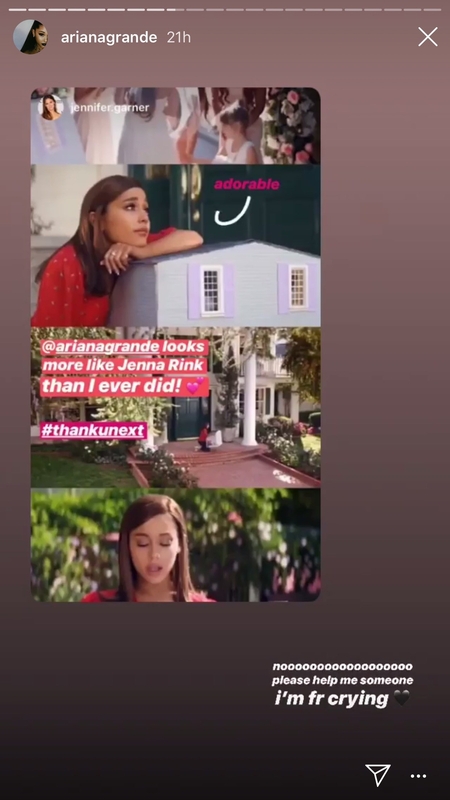 Jennifer Garner And Mark Ruffalo Had The Sweetest Response To The "13 Going On 30" Tribute In "Thank U, Next"
By now I’m assuming you’ve seen the cultural masterpiece that is Ariana Grande’s “Thank U, Next” music video. 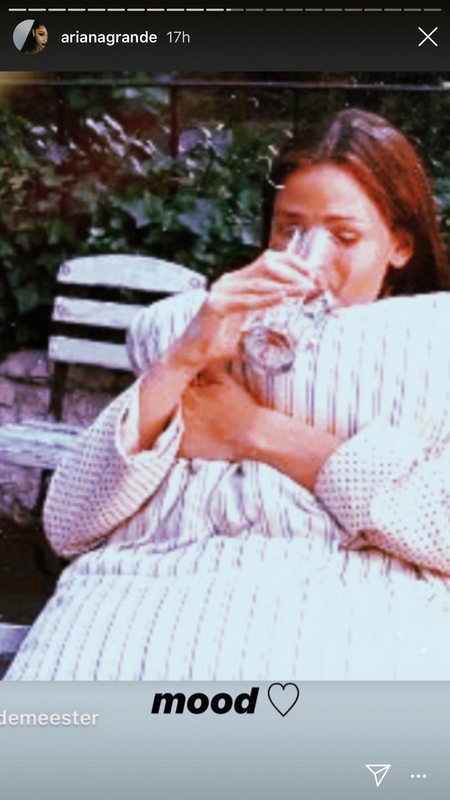 The vid includes references to some ICONIC films, including 13 Going on 30. 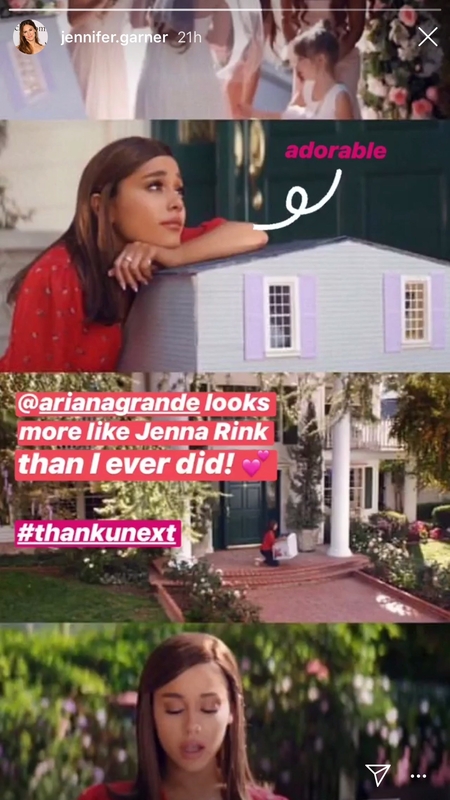 Then, when Jen shared on her story that she thought Ari “looks more like Jenna Rink than [she] ever did,” the Sweetner singer lost it all over again. Oh, and how could we ever forget about our leading man! 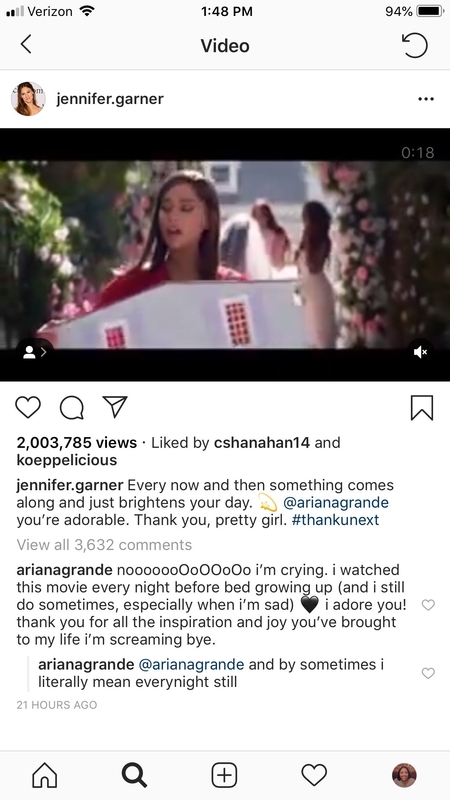 Mark Ruffalo commented, “Having some Razzles (it’s a candy AND a gum) in your honor,” on a video Ariana shared, and she replied with more crying sentiments. But, can you blame her?